Four names have been added to the 1166 names listed in the original index of biographies, so this index contains 1170 names. Of the 1166 names, 9 were in the history, not biography, section. Twenty-three of the names are duplicates (more than one per biography), so the book contains 1138 biographies. 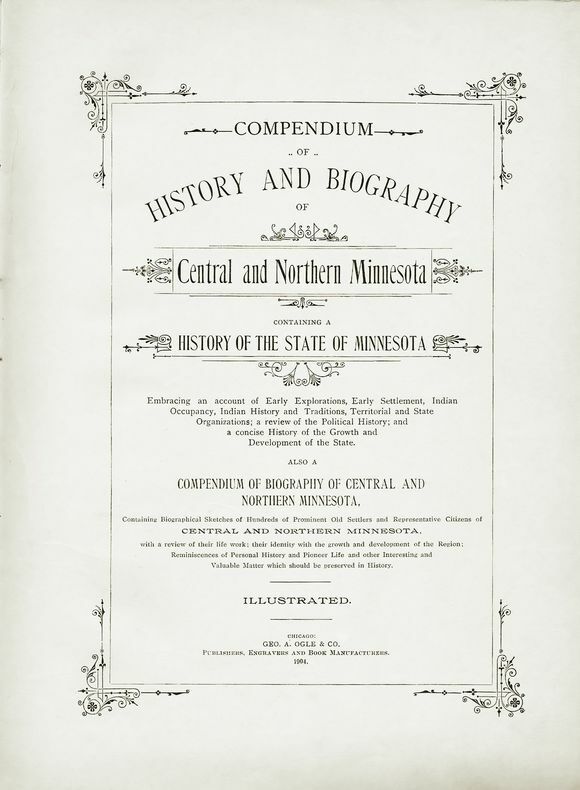 Of these, 8 are of women, 6 are of non-persons, 2 are of people who didn't live in Minnesota, 39 are of people deceased when the book was published, and 70 include pictures. Counties listed are usually the most recent the person lived in (to 1904). Where the county couldn't be determined (in 5 cases), the city is listed in parentheses in the county column. Of the biographies where the county is known, the largest number, 157, are from Wilkin County. Lac qui Parle is second at 141, and Traverse is third at 133. Biographies are from all parts of the state. Names are here spelled as in the biographies, not as in the original index. To request a biography of a non-highlighted person listed here, please email Tim Stowell. Please allow 90 days per name, to see it posted here. Stats for 3 Jul 2011 to Dec 2014 lost due to server error. There were 4234 visitors to this page from 5 Nov 2005 to 3 Jul 2011. There were 10,119 visitors to this page from 11 Apr 2001 to 5 Nov 2005.